In 2005, the Florida Legislature created section 633.115 of the Florida Statutes to establish the Fire and Emergency Incident Information Reporting Program (FEIIRP). The new statutory language also created the Fire and Emergency Incident Information Technical Advisory Panel. The new section of the statutes basically included codifying language for the Florida Fire Incident Reporting System (FFIRS) which is and has been the Florida coordinating officer for the National Fire Incident Reporting Section (NFIRS). 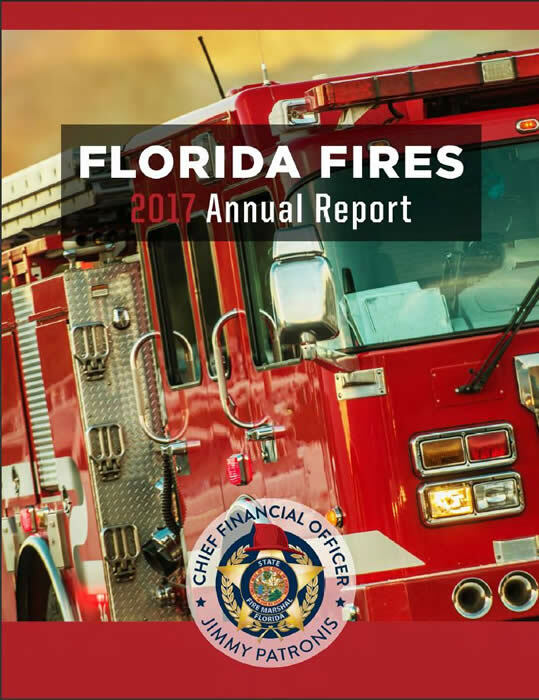 The Florida Fire Incident Reporting System (FFIRS) is a means for fire departments to report and maintain computerized records of fires and other fire department incidents in a uniform manner. The NFIRS 5.0 software and training are free to all fire departments! The training includes handbooks, coding guides, and technical support. For NFIRS users of the Client Data Entry Tool (DET), a version update is available. NFIRS 5.0 Software Version 5.9.2 is a replacement version. It fixes the problem with users’ inability to perform user injections in to NFIRS local databases. The procedure for updating to the new version is straightforward. Start the NFIRS Client DET in the online mode. Update to NFIRS Version 5.9.2 when prompted. Close the NFIRS Version control window when the application update is complete. Restart the NFIRS Client DET in the online mode. If version 5.9.2 has not been previously installed, then please download and install version 5.9.2. After verification of the successful install of 5.9.2, uninstall previous versions (i.e., version 5.7). The current 13 members of the Firefighters Employment, Standards, and Training Council as established in Florida Statute 633.31. One member from the Division of Forestry of the Department of Agriculture and Consumer Services, appointed by the division director. One member from the Bureau of Emergency Medical Services of the Department of Health, appointed by the Bureau Chief. This 6-day course is offered to enhance the knowledge and skills of those individuals responsible for the managing of NFIRS and/or multiple fire/EMS data bases in their organization, and/or for those responsible for the training of field-level data collection and reporting staffs. This course provides information about the systems capabilities, data collection and analysis, and the available reporting features. Focus is on the higher level knowledge, skills, and abilities required to collect, compile, and analyze NFIRS data, to develop decision packages used as the basis for Standards of Cover and for comparative data based on local, State, or national data and trends. The NFA's computer lab is used extensively for this course. Serving as an introduction to NFIRS 5.0, this self-study course provides an overview of the data collection system, its modules and data conversion issues. Coding scenario exercises are also included. This 2-day on-campus course teaches students how to use standardized forms to achieve uniformity in their incident and activity reporting. This training program is designed specifically to support local fire service organizations, and will assist them in providing data both to their management and to decision makers, as well as to their State uniform fire reporting system. This 2-day off-campus course teaches students how to use standardized forms to achieve uniformity in their incident and activity reporting. This training program is designed specifically to support local fire service organizations, and will assist them in providing data both to their management and to decision makers, as well as to their State uniform fire reporting system. This interactive CD-ROM provides resources for Program Managers to implement, manage and market NFIRS 5.0. This interactive CD-ROM is designed to teach the fundamental concepts of GIS technology by demonstrating its use with NFIRS data and providing basic hands-on use of desktop GIS for displaying spatial information. Through this tutorial you will learn the basic components required for a GIS system and several techniques for displaying and querying spatial data.